I absolutely love God because I wouldn't be surviving this life thing without Him, usually very shy and reserved until I get comfortable and acquainted with one, have a playful, sarcastic and witty humour all at once (life's too short to be serious all the time), love family and friends, the worst at hiding my reactions and facial expressions (frowns)... and I'm very passionate about the things and people I believe in, like that one time I went to the Coldplay concert (laughs). Running is fun, my first love to be exact. I was a track athlete from grade one to matric and then began long distance running in the last year. It's not only my sanctuary where I can clear my thoughts at times but also a great stress release. It's my therapy and happy place all at once. It can also be really painful and test ones character while pushing the limits. But the rewarding feeling thereafter always makes up for it... before your adrenaline dies out at the finishline & stiffness awaits you of course, haha. 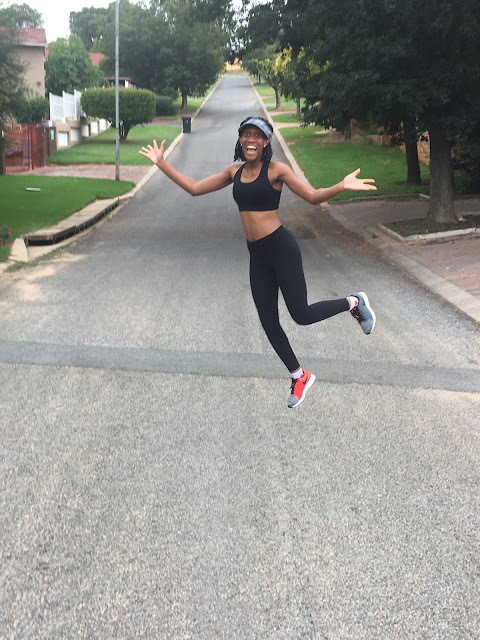 I am currently training for my first Cape Town marathon in September this year with the assistance of my running partners Stanley Mwawa and Thabang Mokoena, and maybe Comrades is the on the cards one of these years... (giggles). I started running last year. 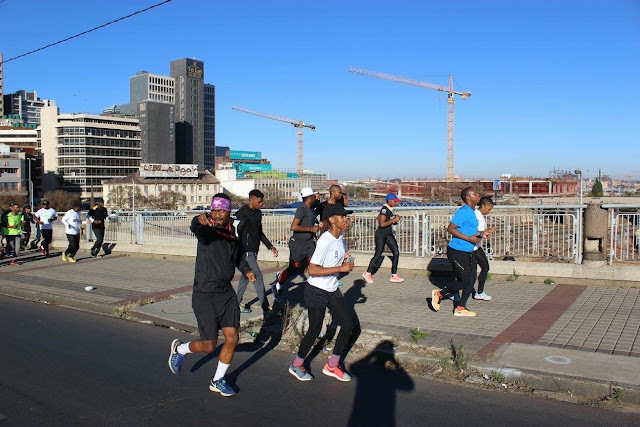 Two friends of mine and I dared each other to run the Soweto half marathon in November. It hit me in August, that I hadn't done anything to prepare for it, so I signed up for the FNB 10k race (my longest distance at the time ). 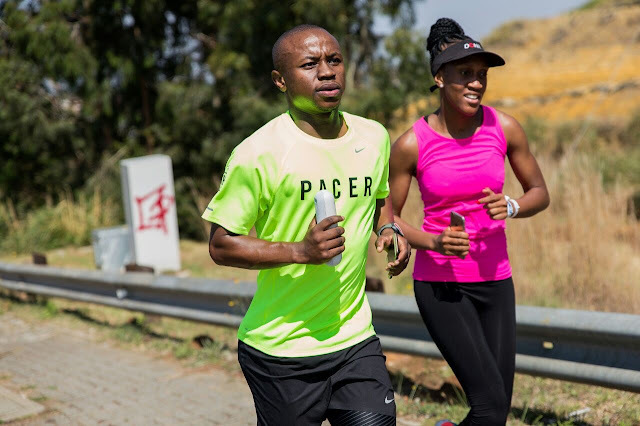 Thereafter, Nike had a long run, so I tried my hand at it and that's where I met Yusuf Stemela (who was my first pacer ever and has become a good & dear friend of mine since), then race day. 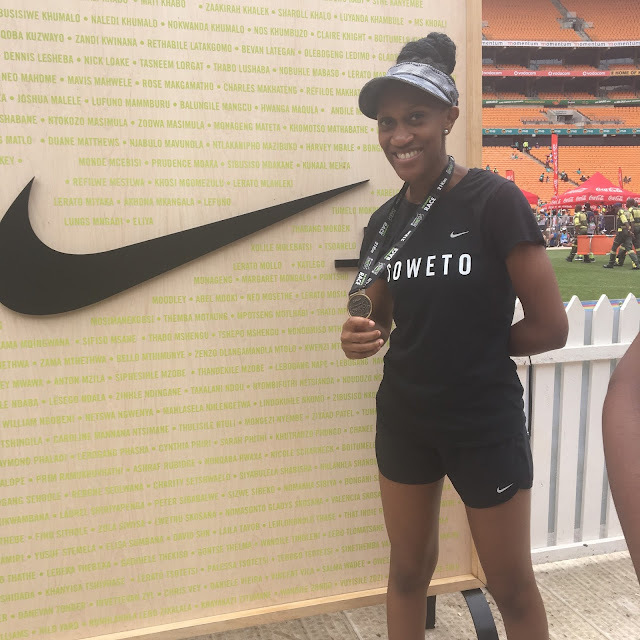 I enjoyed the run and conquered those Soweto hills with pacers helping me reach my then goal to finish it in 2h15min (I ended up finishing it in 2h12m). 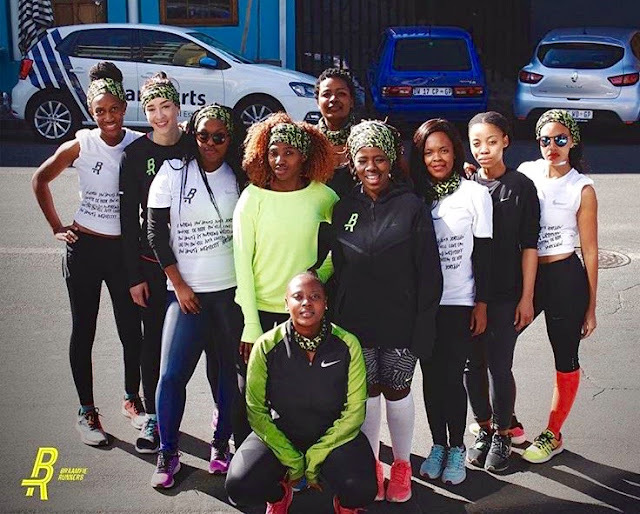 Thereafter, I joined the Braamfie Runners, do my weekly NRC runs and have never looked back. It has literally became a part of me. 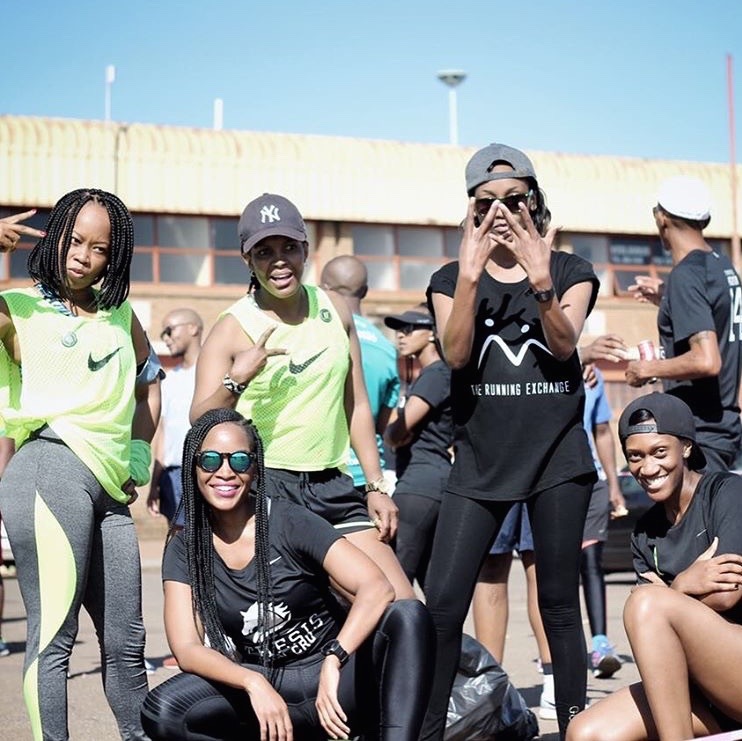 Living in Johannesburg exposes one to the different types of street cultures and certainly goes beyond just seeing people as cool kids, hippies, fashionistas, etc. It is some people's form of best expressing themselves, their beliefs, passion, looks and form of a lifestyle. It's also become a platform for many brands to start finding their relevance in the various spaces and marketing themselves through the different cultures that we see, which is refreshing and inclusive in how it celebrates being different, in it's own right. I appreciate how old school things always come back and trend and believe in preserving vintage clothing as it is forever timeless. I got my first injury a few years back while playing basketball and ruptured my Achilles' tendon. That made me realise how powerful the mind is (when aligned with the body) as I pushed to come back better and stronger while staying positive. I started becoming more aware and taking better care of myself thereafter, despite my career adding to that knowledge. No big ones have really bothered me since (sigh of relief). The last injury I had was during the MTN race a few months back where my ITB and calf started niggling during the race and interrupted my sub-2 goal for the day and ended up delaying me by 5 minutes. Thankfully, nothing was torn, as it could always be worse. Achievements are great incentives that we should always stop to acknowledge and celebrate but should never make us too comfortable, as someone is always competing with you to try fill your spot, whether you know it or not. 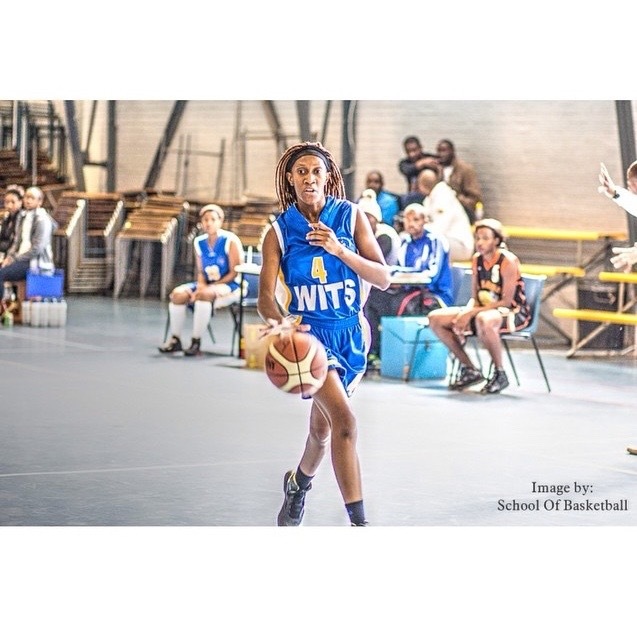 I am a basketball conditioning coach for the Wits first team and we recently achieved first place at the SA university championships. In the running space, I believe that every run and race completed is a great achievement in it owns right and we should always be proud. 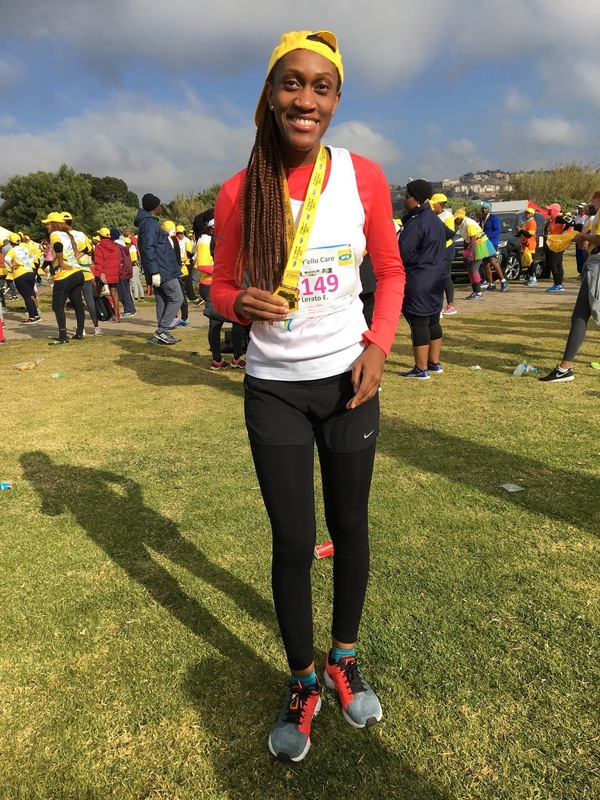 I think completing the Comrades marathon or the Washie will certainly be one of my greatest sporting achievements one day. With regards to my future goals, there's still so much to look forward to, still so many races to run, mountains to climb, sights to see, etc. I would definitely love to go for a lot more races next year and get some PB times, I want to open my own practices as a Biokineticist, make a mark in the corporate wellness space and even invest in property, career-wise. Kilimanjaro is on my to-do list and travelling the world, as much as possible because it's not only fun but exposes one to different places, cultures and broadens ones thinking. Thoughts on the future excite me! 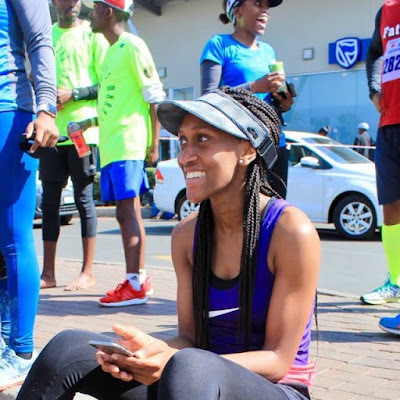 My social media has become a place where I've let people into my running journey for the most part, but I also enjoy sharing aspects of my basketball life and random snippets of my friendships & everyday living. I am generally a private person as you have to sometimes be cautious and protective about what you reveal to others in a public space because not everyone always has your best interests at heart despite your pure intentions at times. Women should run because it reminds us that we are capable of activating the alpha females in anything and everything that we do. 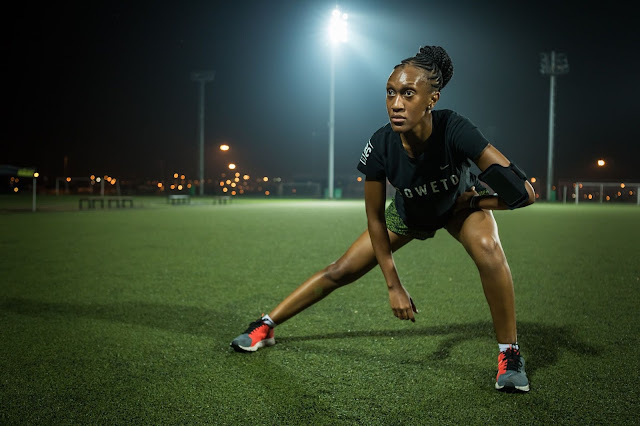 That we aren't limited to just being wives, mothers and businesswomen but can also be amazing athletes and look amazing while doing it. It is also a nice break and release from our daily responsibilities and keeps us in great shape, so why not? I sometimes get told I'm fast for a woman. Why can't we just be fast? Women are walking miracles because of all that we were anatomically designed to do and are capable of. My non-running past self was always very sporty but never would've seen me running this much to begin with (laughs). I would tell her that she mustn't rule things out without trying them out, that being competitive and challenging oneself doesn't always have to be so serious and that protein shakes aren't so terrible after all, haha... I would've encouraged myself to start it sooner! When I die I want to be remembered as one who never gave up and fought til the end for everything I believed in, loved passionately & unapologetically without shame and really did just live my life to the full - as cliche as it may sound...1. I absolutely love God because I wouldn't be surviving this life thing without Him, usually very shy and reserved until I get comfortable and acquainted with one, have a playful, sarcastic and witty humour all at once (life's too short to be serious all the time), love family and friends, the worst at hiding my reactions and facial expressions (frowns)... and I'm very passionate about the things and people I believe in, like that one time I went to the Coldplay concert (laughs).